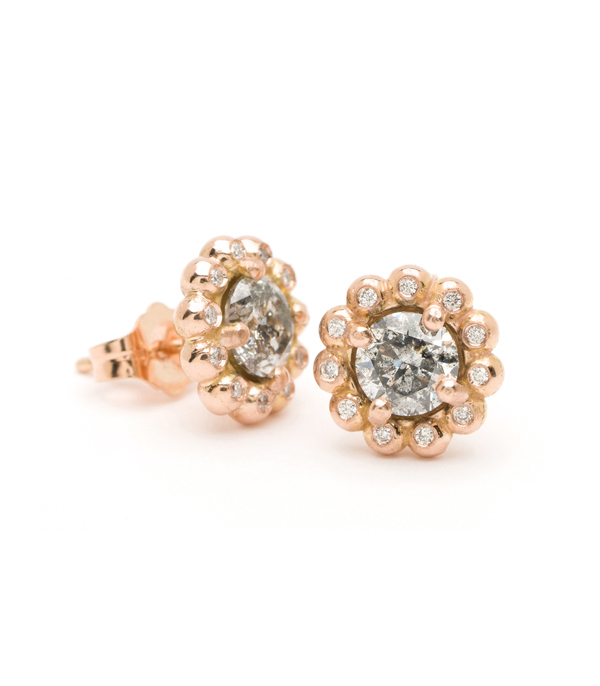 We all know every girl needs a go-to pair of diamond earrings in her jewelry repertoire. 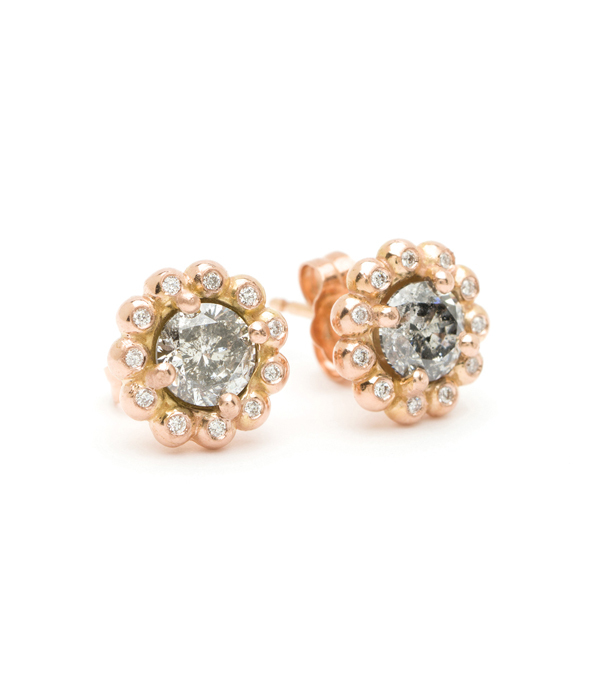 We happen to think these Bubble Halo studs make THE perfect pair. Shown here in 14K rose gold with brilliant cut salt and pepper grey diamond centers (1.00 ctw) and colorless diamond accents (0.24 ctw) this color combination of metal and diamonds adds a rosy glow to any wardrobe as well as any disposition! Categories: Earrings, Regency, Rocking Tradition.